Lionel Messi will not miss Barcelona’s El Clasico match against Real Madrid this Sunday despite his arm injury. That is the shock claim of former Barcelona forward Hristo Stoichkov. 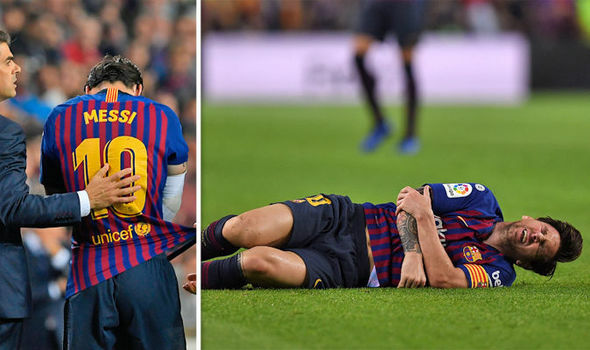 Lionel Messi suffered a gruesome injury, fracturing his arm, in their 4-2 win over Sevilla last night. Minutes after scoring their second, Messi fell awkwardly, landing on his outstretched arm as he attempted to cushion his fall. The Argentine star looked to be in agony as he was dragged off the pitch by two members of medical staff. After being off the pitch for 10 minutes receiving treatment it was decided he would play no further part in the game. Messi headed down the tunnel with his shirt acting as a makeshift sling. 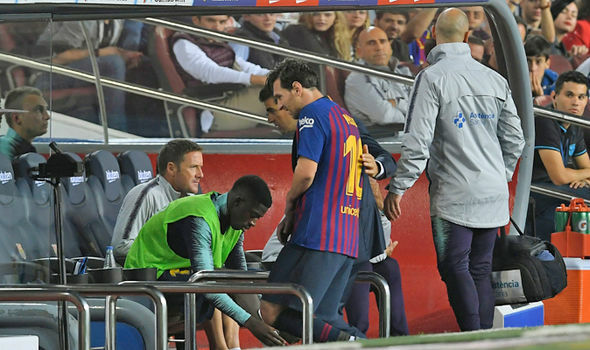 A Barcelona statement, put out after the game, read: “Tests carried out on the first team player Leo Messi have confirmed that he has a fracture of the radial bone in his right arm. Messi is now set to miss their upcoming Champions League clash against Inter Milan on Wednesday night. He will then be ruled out of the first El Clasico of the season when Real Madrid pay a visit next Sunday. But Stoichkov believes Messi will be willing to play through the pain and reckons he cannot be ruled out of El Clasico entirely. “Knowing the winning character he has, his desire to play and his self-esteem, I still think that even injured can play,” Stoichkov, who won five La Liga titles with the Catalan giants, told Mundo Deportivo. “Doctors can do something, puncture it, put a strong bandage. I wanted to run something by you… there’s a few different things I noticed on newsleakcentre.com where I think we can help gain more visibility (for selected keywords), as well as drive more sales. Would you be open to having a few seasoned consultants I work with quickly get in touch to discuss? If increased traffic/sales is what you’d like, let me know the best time/direct line to have them get in touch.